BTS Teacher Emergency Kit Giveaway Winner! Thanks to everyone who participated in the giveaway for two Back to School Teacher Emergency Kits. Congratulations to the winner, Michel J! Michel, please look for an e-mail from me, so I can get your kits in the mail to you promptly. 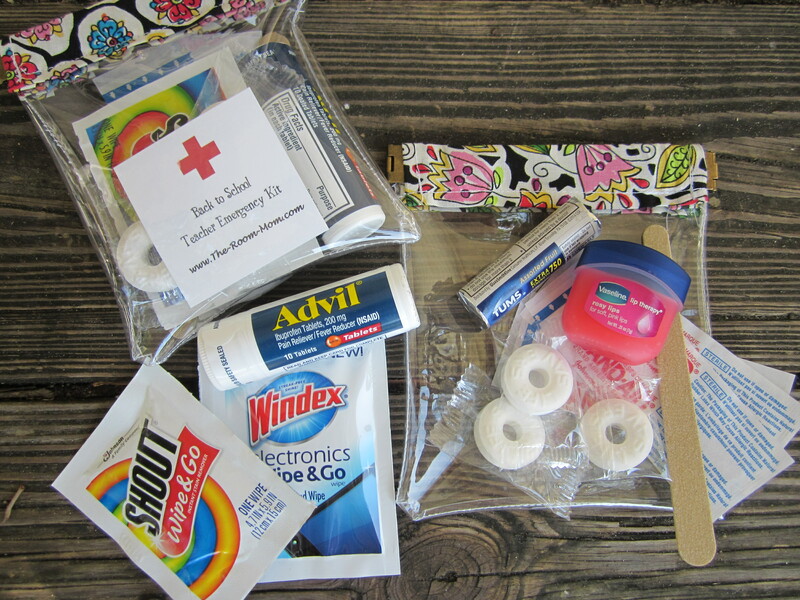 For those who did not win, it is easy to make your own Teacher Emergency Kits. 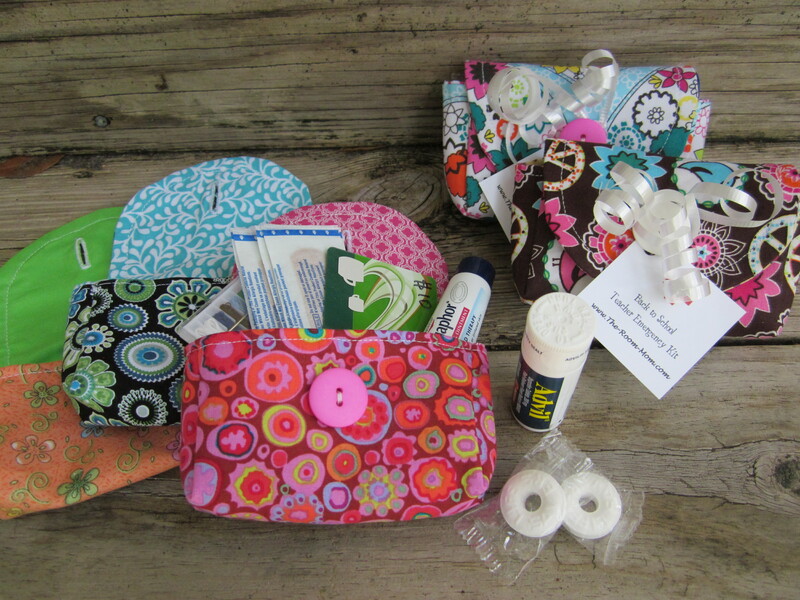 Find a small zippered bag (like a cosmetics bag), a little box with compartments (like a bead box from Michael’s Crafts), or a simple gift bag and fill with items that would be helpful to have in your teacher desk or bag. I am giving away two (2) Teacher Emergency Kits to one (1) lucky winner! You can keep one kit and give one to a teacher friend (or make two teachers, friends, co-workers, neighbors… super happy and give both as gifts). Click HERE to enter. 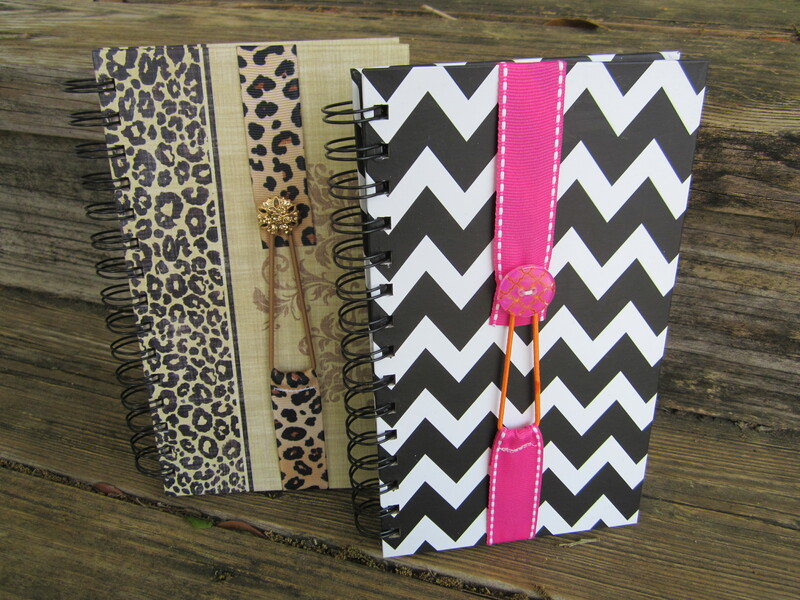 Giveaway ends this Wednesday, August 17 at midnight (EST). Shipping addresses must be within the USA or Canada. Winner will receive 2 vinyl pouches and emergency kit contents. 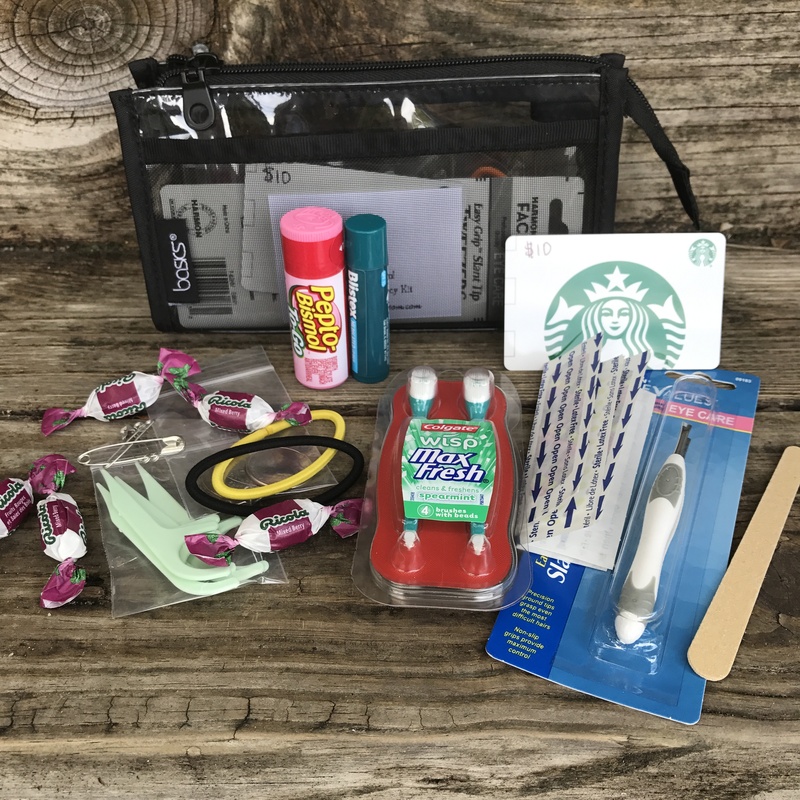 Each kit contains a $10 Starbucks giftcard, travel sized lip gloss, travel sized Shout and Windex wipes, travel sized Advil, Tums, Band-aids, nail file, and peppermints. See this BLOG POST for more details about the Teacher Emergency Kits. Click this RAFFLECOPTER GIVEAWAY LINK and follow me on various social media and/or share the giveaway using #theroommom to be entered to win! 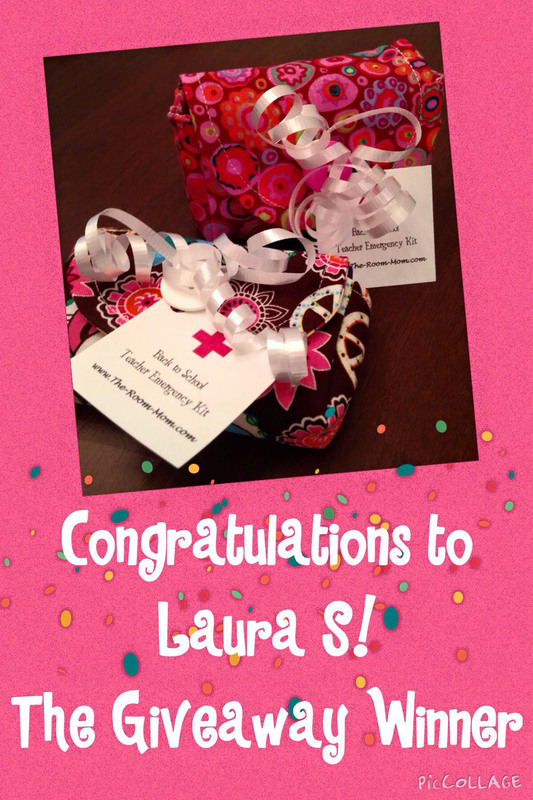 Congratulations to the winner, Laura S! Laura, please look for an e-mail from me, so I can get your kits in the mail to you promptly. 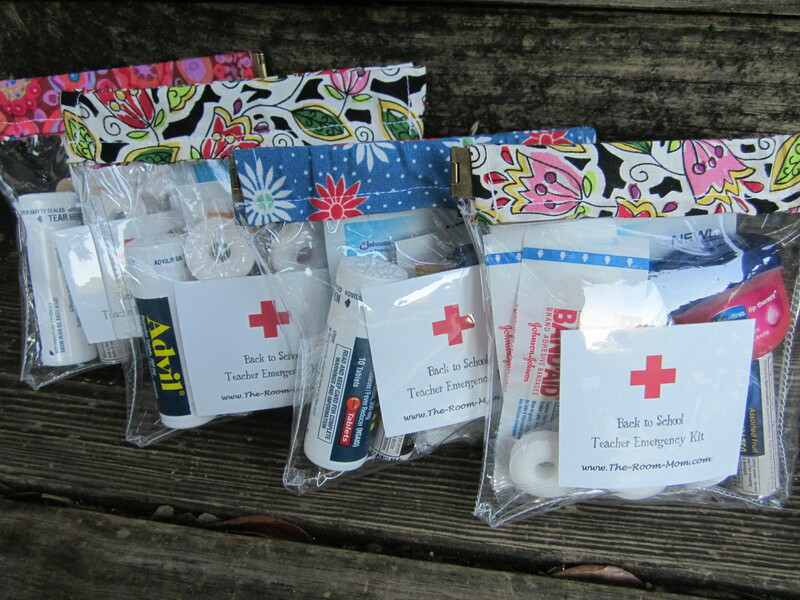 For those who did not win, it is easy to make your own Teacher Emergency Kits. 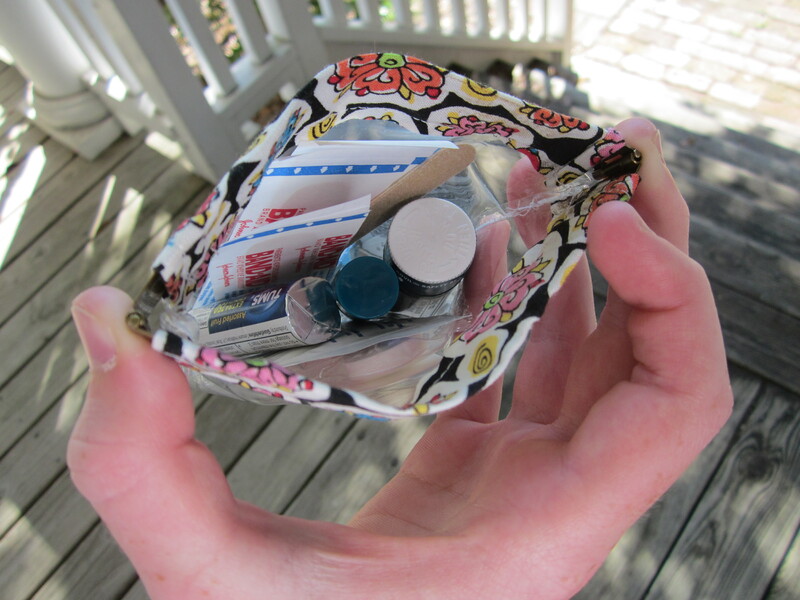 Find a small zippered bag (like a cosmetics bag), a little box with compartments (like a bead box from Michael’s Crafts), or a simple gift bag and fill with items that would be helpful to have in your desk or bag that would not be readily available at school.